Mazda Roadster - J's Garage Export Co., Ltd.
1989. 09 : Mazda announced the release of the Roadster 2 seats FR open sports car in Japan. The Roadster is powered by a L-4 DOHC B6-ZE engine that makes 120 horsepower (110PS AT). The Roadster adopts double wishbone suspension. 1990.03 : An automatic model was added to the Roadster line-up. 1990.07 : The main features of the V-Special include green color body, leather seats, and a NARDI steering wheel and a shift knob. 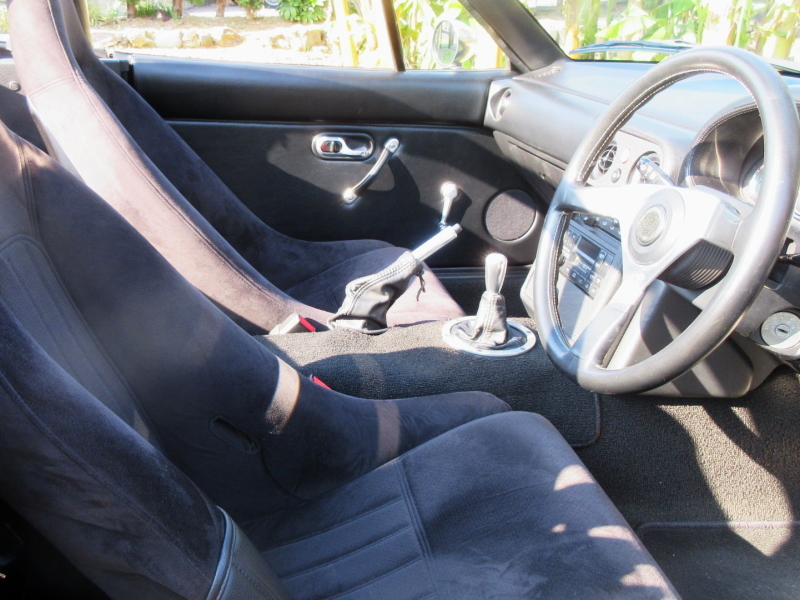 1991.07 : The features of the J-limited (800) are sunburst yellow body, a wooden NARDI steering wheel, a wooden parking-brake lever, and a wooden NARDI shift knob. 1991.08 : The brilliant black body color was added to the V-special. 1991.12 : The M2 1001 (300) was introduced. 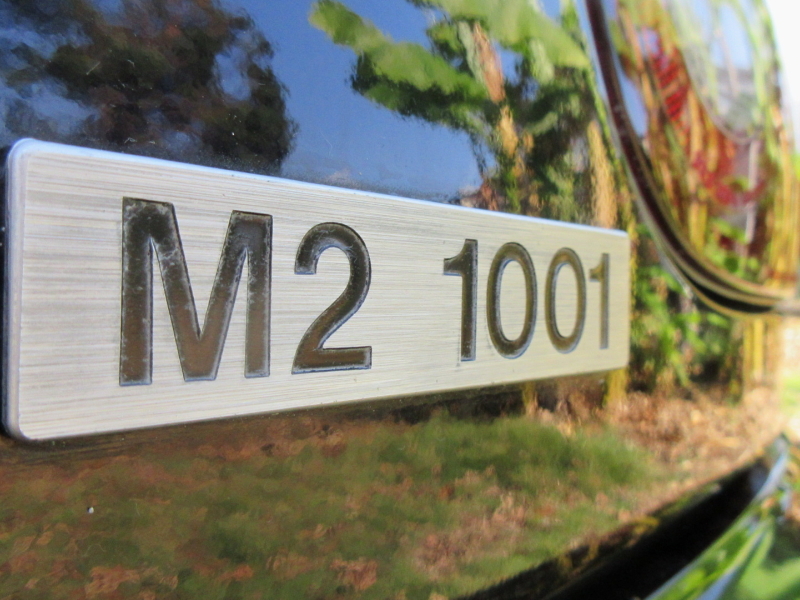 The M2 1001 uses a modified B6-ZE L-4 DOHC engine that makes 130 horsepower. And the M2 1001 adopts an front rear spoilers, an aluminum roll bar, aluminum door mirrors and a filler cap, a leather wrapped meter hood and center console, an aluminum shift knob, pedal sets, and inner door handle, special bucket seats, a serial number plate, and mechanical LSD. 1992.07 : The S-special was added to the Roadster line-up. The features of the S-special include BILSTEIN dampers, BBS alloy wheels, a NARDI steering wheel and a shift knob, and a rear spoiler. 1992.11 : The main features of the M2 1002 (300) include white leather seats, leather wrapped center console, a MOMO steering wheel, aluminum mirrors, serial number plate. 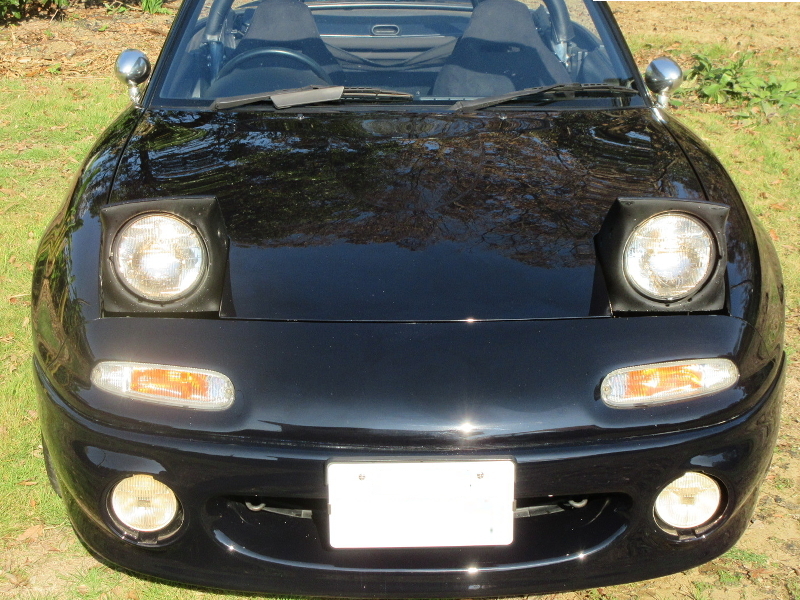 1992.12 : The features of S-limited (1000) are brilliant black body, red leather seats, and BBS alloy wheels. 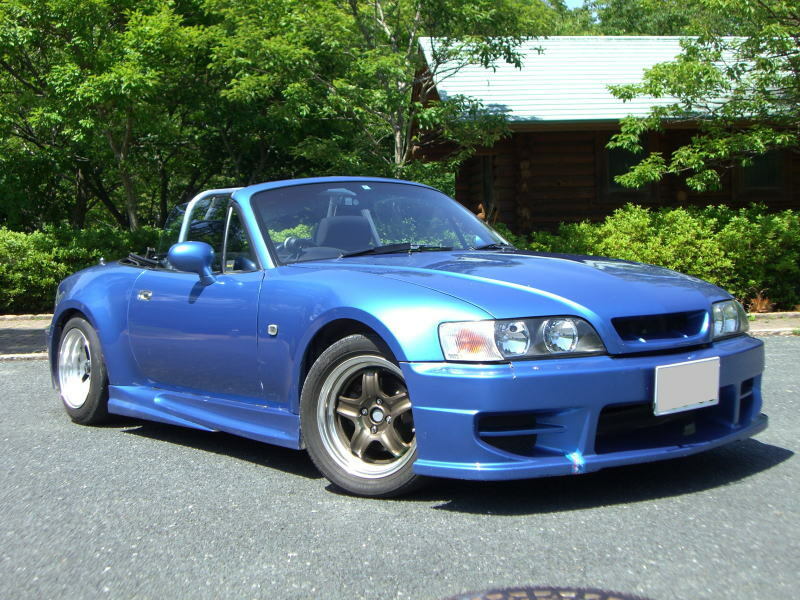 NA8 Mazda Roadster 1800 series 1993.07 : The Roadster adopts the 1839cc L-4 DOHC BP-ZE engine that makes 130 horsepower. The 1800 series includes a Base model, a S-special, a V-special, and a V-special2. 1993.12 : The features of the J-limited2 (800) are sunburst-yellow color body, bucket seats, and PIRELLI P700-PZ tires. 1994.02 : The main features of the M2 1028 (300) include the modified engine that makes 140 horsepower, exclusive suspension and tires, an aluminum roll cage, Vitaloni door mirrors, a MOMO steering wheel, a light weight hard-top, and bucket seats. 1994.07 : The features of the RS-limited (500) include montego-blue mica body color, a leather wrapped NARDI steering wheel, RECARO seats, BBS 15 inches alloy wheels, POTENZA RE010 tires, and a light weight flywheel. 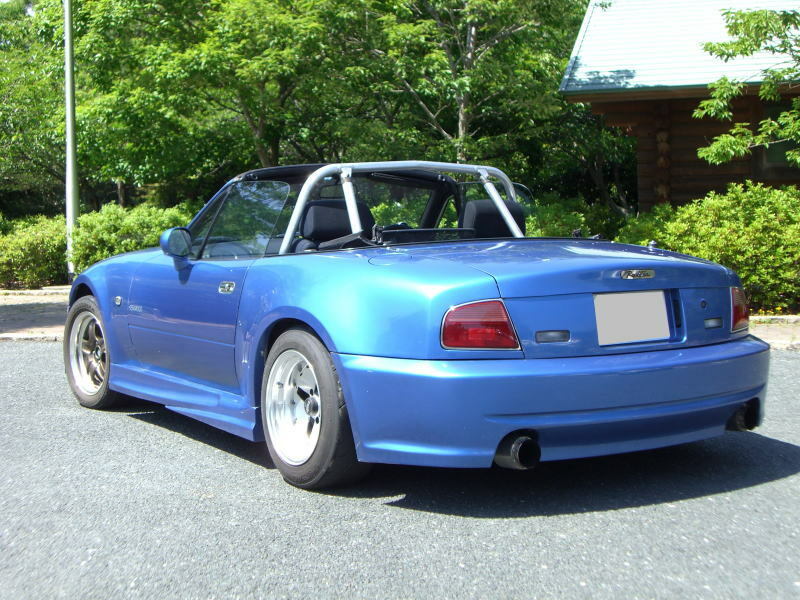 1994.12 : The features of the G-limited (1500) are satellite-blue mica body color, a leather wrapped MOMO steering wheel, a dark blue soft top, and alloy wheels. 1995.02 : The R-limited (1000) is based on the S-special featuring satellite-blue mica body color and red interior color, red leather seats, a wooden NARDI steering wheel, BBS 15 inches alloy wheels, and POTENZA RE010 tires. 1995.08 : The 1800 Series2 was introduced, and the Roadster 1800 Series 2 include a base model, a S-special type 1, a S-special type 2, a V-special, and a V-special type 2. 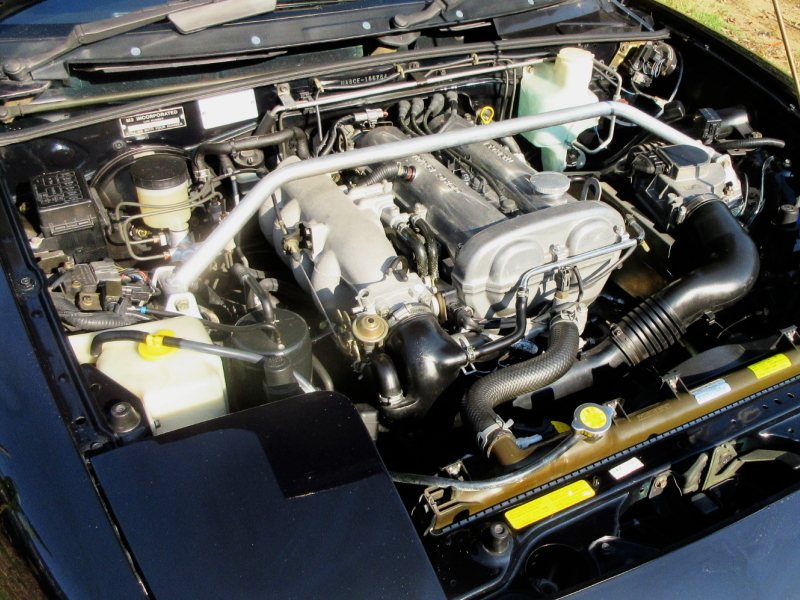 The engine response has been improved by adopting the 16 bit engine computer and the light weight flywheel. 1995.12 : The main features of the VR-limited combination-A (700) include artvin-red mica body color, leather seats, an aluminum shift knob, a aluminum parking-brake lever, exclusive design alloy wheels, and a tan-color soft top. 1995.12 : The main features of the VR-limited combination-B (800) include green-mica body color, leather seats, an aluminum shift knob, an aluminum parking-brake lever, a dark green soft top, and exclusive design alloy wheels. 1996.12 : The main features of the B2-limited (1000), is based on the M-package,include twilight-blue mica body color, silver plating door mirrors, buffed alloy wheels, and aluminum meter rings. 1996.12 : The main features of the R2-limited (500), is based on the S-special,are white body color, red leather seats, and exclusive design alloy wheels. 1996.12 : An SRS airbag adds. 1997.08 : The main features of the SR-limited (700) are white body color or sparkle-green metallic body color, chrome plated mirrors, buffed aluminum wheels, nubuck seats, a leather wrapped MOMO steering wheel, chrome plated meter rings, a SRS airbag, and a Torsen LSD.